In recent years digital cinema has quickly progressed towards 4K and beyond. Therefore it would be worthy to understand this enigma called 4K. Firstly let’s understand what we mean by the term ‘Digital Cinema’? In the early days, motion picture used to be shot on celluloid or film using motion picture cameras manufactured by companies such as ARRI, Panavision, Aaton etc. The capturing medium was 35mm film negative usually Kodak or Fuji. The exposed negatives were taken to laboratory where they were developed and printed on 35mm film print stock (positives). These film prints were projected in cinema halls using film projectors running at 24 frames per second. As digital technology advanced, digital projection replaced film projection in many cinema halls. The idea was to do away with the costly process of printing multiple copies of the film print and distributing it to various cinema halls individually. With the advent of the Digital intermediate (DI) process, film negative could be scanned at a high resolution and captured as a Digital (Digital Picture Exchange - DPX) file. The DPX file could be color graded at a DI suite to enhance or achieve any specific look. This color graded file is then transcoded (this is a process of digital to digital conversion to ensure compatibility and efficient compression) and is ready for projection. Cinemas make a one-time investment on digital projectors like Barco etc. and distributors send out their films using memory devices like Hard-drives or broadcast their film through satellite with security features. This has become an economical option for the film industry and therefore being widely used. The initial RED One Mx cameras were giving a 4K resolution image, which was the highest at that time. But soon succeeded with the RED EPIC which gave 5K out and the latest camera RED Dragon which gives a 6K out. It is important to note here that higher the image resolution, the workflow would need to handle higher volumes of data, which would require more resources. For theatrical release 2K to 2.5K is sufficient. ARRI Alexa in comparison is a 2.8K camera with a highly advanced 3.5K sensor camera. It delivers far superior image density and more color subsampling. It captures data as 12 bit logarithmic uncompressed ARRIRAW file. Here we can see that 35mm Full frame size is the largest among the different formats which is the sensor size used in all Full Frame DSLR cameras like the Canon 5D Mark 3, Canon 1DC, Nikon D3X etc. 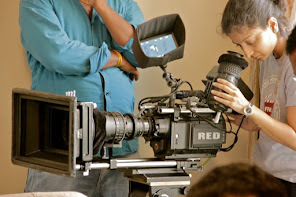 The Super 35 frame size (APS-H equivalent) is the standard motion picture size frame which is used in cameras such as ARRI 435, ARRI Alexa, Red Epic Mx, Blackmagic Production Cameras etc. The Micro Four thirds (MFT) frame size is used by Panasonic cameras such as GH4, GH3 etc. 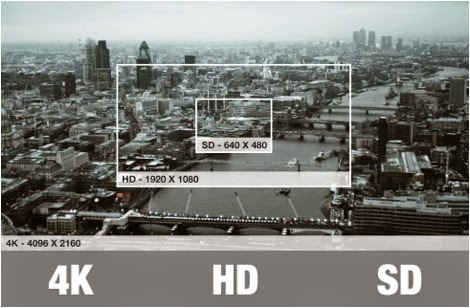 Here we need to note that camera sensor size is a factor in determining image resolution but the spatial resolution of the sensor also needs to be considered. For e.g. If we consider the Canon 5D and Panasonic GH4 cameras, the 5D (full frame – 2x) gives a HD out whereas the GH4 (MFT – x) having a sensor size much smaller than a full frame gives a 4K output. Therefore we also need to consider the spatial resolution of sensor while considering a camera’s out. If we consider the Canon 5D and Canon 1DC, both having full frame sensor, we can say with certainty that 1DC is a superior camera as it gives a 4K output, which can be attributed to higher spatial resolution of the sensor. If we consider the Panasonic GH4 and Canon 1DC, it is unwise to state that the 1DC (full frame – 2x) has superior image quality compared to the GH4 (MFT – x) purely due to the higher sensor size. Thus concluding, 4K image is highly desired attribute in cameras now days; in fact even mobile phones have 4K enabled cameras that are out in the market. In such a scenario, it is firstly important to gauge our requirement and make informed choice regarding choice of cameras and whether 4K is essential for the project. The volumes of data can be huge while shooting 4K and may increase the cost in post processing. But there is also much scope to enhance the image in the post with the 4K Raw file. 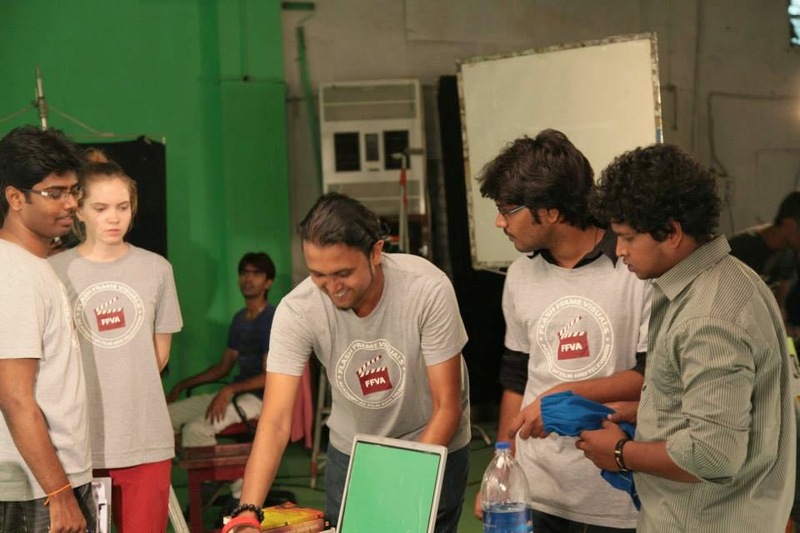 At Flash Frame Visuals Academy, students pursuing their Diploma in Direction, Cinematography and Editing courses are given detailed classes on the 4K technology with hands on training and live demos, from the script to screen. Labels: 2K, 4K, 4K filmmaking, 6K, 8K, ARRI ALEXA, Blackmagic cinema cameras, Filmmaking, Panasonic GH4, RED Cameras, technology, what is 4K? Thanks a lot for sharing the useful information. The content and info in article was awesome.